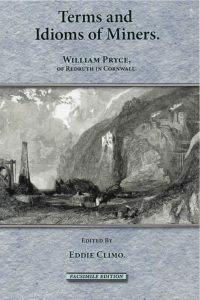 A facsimile of Pryce’s original 1778 edition. Many of the terms listed in this book will, of course, be derived from Cornish. The late Eddie Climo has produced on facing pages a clearer version of the texts with Unified and Late Cornish equivalents for the terms listed.